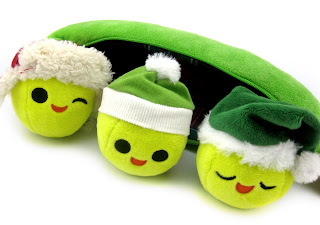 Just in time for the holidays, here we have the Disney Store's new exclusive seasonal Toy Story 3 Peas-in-a-Pod plush— as part of their "Share the Magic" collection! Peatey, Peatrice and Peanelope (yes, they actually each have an official name) are looking as cute and as festive here as ever before. This set is a little bit bigger than the regular Disney Store 8" Peas-in-a-Pod plush set. In fact, it's a much more movie accurate size. I would love if they redid the original plush in this size, but that's just wishful thinking. 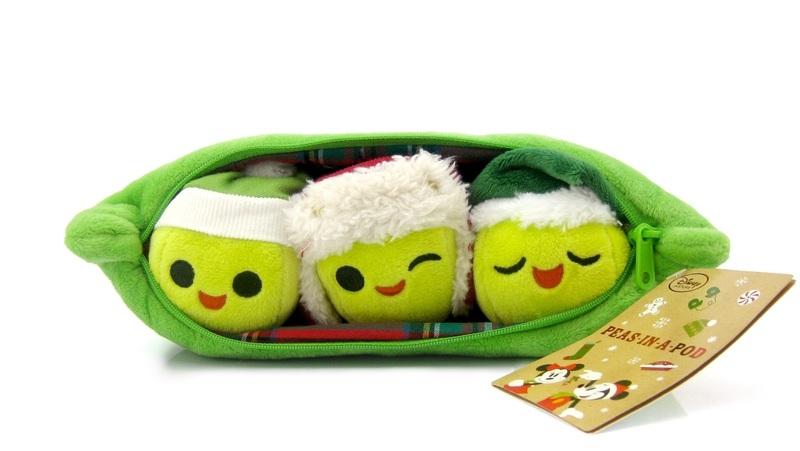 The pea pod in this set is 11" long and the pea characters themselves are about 2.5" in size. Everything is very soft and nicely stitched with embroidered features. 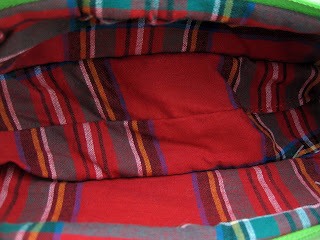 I love all the fabrics/materials used here, especially the festive plaid lining on the inside. Does that not make you think of the coziness of Christmas? 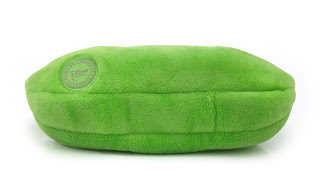 Of course the pod can be fully zipped and unzipped and each individual pea can be removed. Look at those cute elf hats! Be sure to get into the holiday spirit by picking this set up at your local Disney Store! You can't go wrong here. If you love Christmastime AND Toy Story like I do, then this is a given. If you don't have a nearby Disney Store and would like to purchase this online, visit this direct link to the official online store. Retail is $14.95.